Hanover, PA– Elsner Engineering Works, Inc. announces the design and build of their next generation rewinder targeted for the canister wipes market. The Elsner G3 takes the industry leading ENR-1000 concept and experience a big step forward. With increases in speed, cycle rate and finished roll size, the G3 will give converters a boost in production and capability. With feedback from customers using the existing model, Elsner’s team of engineers focused on the key points that were commonly heard. The move to 700 feet per minute web speed is where converters will see immediate gains. A 75% gain is going to keep downstream equipment very busy. The 12” finished diameter increase (up from 10” on the previous model) gives their customer greater range in the growing ‘gym wipe’ and other large roll sector. Each machine will include access to the Elsner IIOT app for real time data analysis, production feedback and trend monitoring. In addition, the app has embedded manuals, maintenance alerts, contact forms and other functionality. When bringing a new machine to the industry, the key to success is finding the proper partner for machine number 1. Working closely with long time customer Guy & O’Neill, of Fredonia, WI, Elsner found a great fit. Guy & O’Neill is thrilled to partner with Elsner to be first to market with the new machine. Fredonia, WI, May 31, 2017 – Guy & O’Neill Inc., a private label and contract manufacturer, is happy to announce we scored an unheard of 100 out of 100 points on our most recent audit with the Intertek Audit on April 18, 2017. The global average score is a 78 out of 100. The Intertek Audit is a Good Manufacturing Practice Assessment Report (GMP) which rates facility performance. Facility performance is an analysis on organization and personnel, facilities and equipment, material controls, production and process controls, and laboratory controls. The performance summary also includes packaging and labeling controls, non-conformance, change control, and document and records control. Between these sections, there were 171 questions. Guy & O’Neill received a 94 on their previous assessment on December 7, 2015 and an 87 on their very first Intertek Audit on December 8, 2013. To improve the audit score to 100 out of 100 means that Guy & O’Neill’s facility demonstrates control and compliance with applicable GMP regulatory requirements with high performance. “We scored an unheard of 100 out of 100 points. This is amazing! Auditors do not give perfect scores, but we received one. Yet another example of our outstanding performance, this time it is validated by an outside entity. Regardless of what this report states, we know that we are not perfect. We still have room to improve…and we will,” stated Tom Misgen, Guy & O’Neill’s President and Chief Operating Officer. 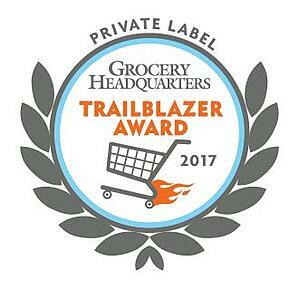 Fredonia, WI – Guy & O’Neill, Inc. a private label and contract manufacturer, is pleased to announce that they were awarded the 2017 Private Label Trailblazer Award by Grocery Headquarters in their February, 2017 issue. The award is given out annually to those companies recognized for driving growth in the private label industry. Guy and O’Neill was recognized for its innovation in the personal lubricant category. The company recently launched a new line of personal lubricants that is made from all natural ingredients and is preservative, paraben and sugar free. “We are very pleased to receive the award. The Trailblazer Award recognizes Guy & O’Neill’s commitment to delivering innovation that meets unmet consumer needs and that helps retailers grow their private brands,” stated Greg Fries, Guy & O’Neill’s Vice President of Marketing. “Consumers are increasingly looking for personal care products with fewer, more natural ingredients. Our personal lubricant was the first to have the claim Made with All Natural Ingredients approved by the FDA. I could not be more proud of the team,” he added. The full article can be found here, http://www.groceryheadquarters.com/February-2017/Praise-for-Private-Label/. Guy & O’Neill Inc., a private label and contract manufacturer, is pleased to announce that they won Redzone’s 2016 Productivity Gained and Sustained Award for improving and sustaining their overall equipment effectiveness by over 30 percentage points. Redzone is an iPad based productivity software which Guy & O’Neill has used to propel their efficiency improvements over the last three years. Guy & O’Neill was one of three companies among 166 to win Redzone’s Productivity Gained and Sustained Award. “We are very pleased to have won the award. The 2016 Productivity Gained and Sustained Award validates our efforts and demonstrates to our employees that their efforts are being recognized by independent, external examiners. 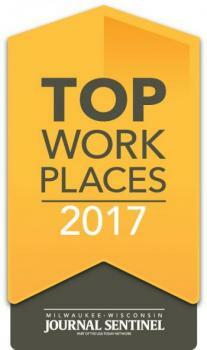 I could not be more proud of the G&O team.” stated Tom Misgen, G&O’s Executive Vice President and Chief Operating Officer. Redzone commented that Guy & O’Neill’s efficiency gains are remarkable and recognized Guy and O’Neill’s participation and dedication to Kaizen activities. This is the second year in a row that Guy & O’Neill has been recognized for their productivity improvements. In 2015, Brad Wickesberg, G&O’s Continuous Improvement Engineer, won Redzone’s Champion and Leader of the Year award. The award was presented to Guy & O’Neill on November 7th, 2016 at the second annual Redzone Community Awards Dinner in conjunction with the Pack Expo 2016. Learn more about Redzone at http://rzsoftware.com/.